I went to the H-town Bloggers meet-up this past Sunday, and it was so... much... fun! 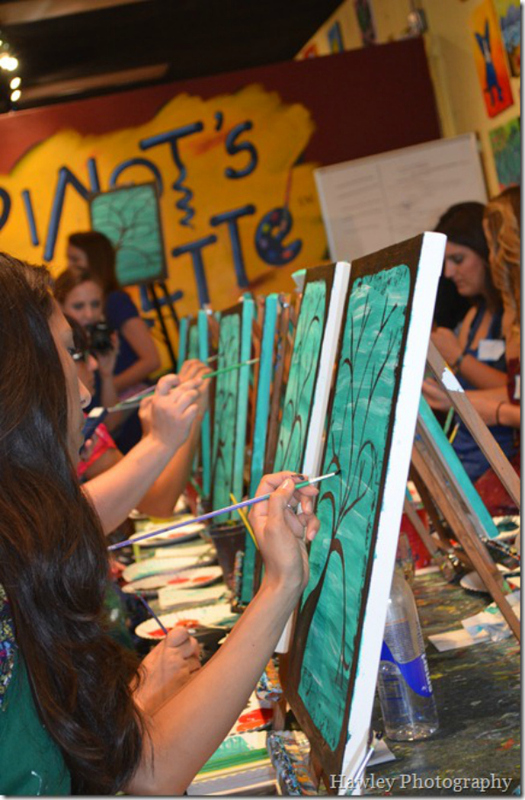 We veered far off the coffee-house path, and had a private party at Pinot's Palette (Galleria)! Meg was a genius for planning this event! With around 25 bloggers in attendance, it was the largest meet-up to date! 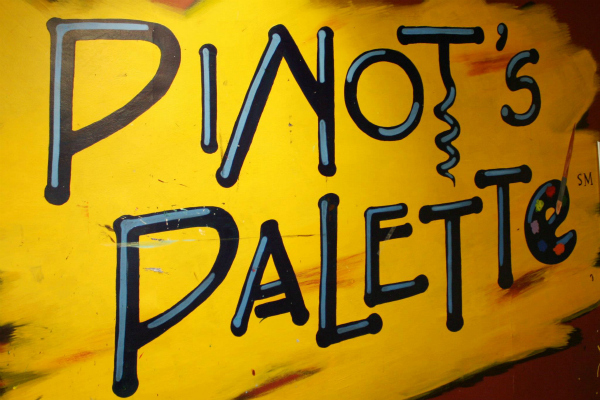 If you have a Pinot's Palette near you, I highly recommend checking it out! 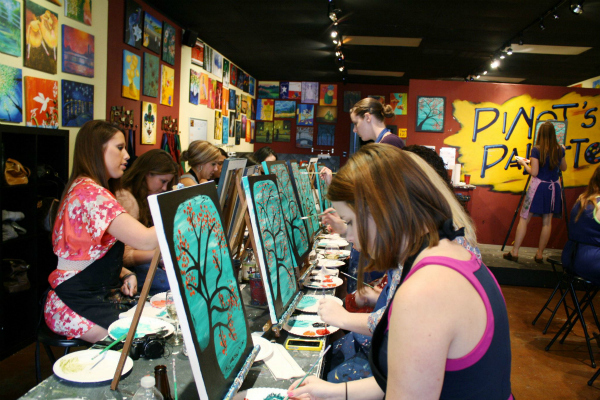 You can bring your own wine and food, and for a flat fee, they provide the art class, all supplies (including the canvas you take home), and kitchenware! You can attend public classes (see their schedule), host a party at their studio, or they can even bring the party to you. It really doesn't get much easier than that. This place was the perfect spot to do something fun and spend quality time with these wonderful gals! Here is my "masterpiece"! What do you think? 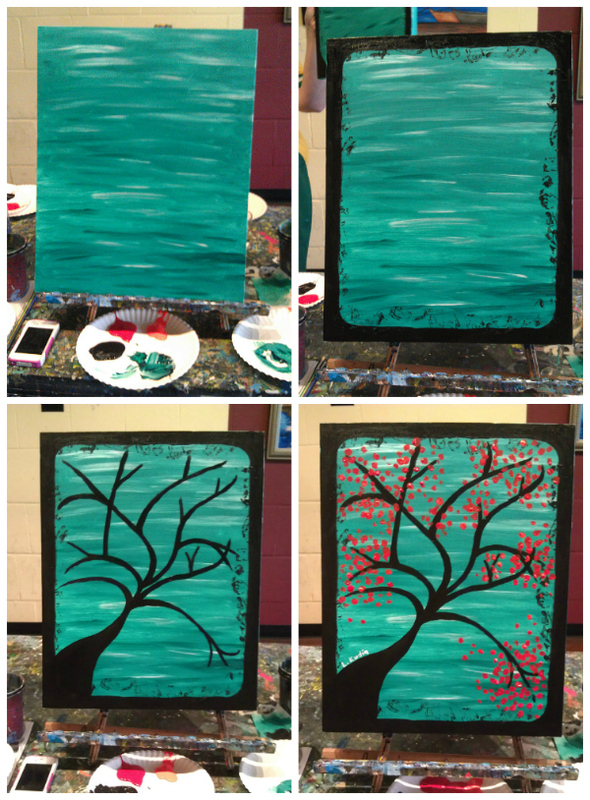 Our instructor, Erin, was very patient with our group of chatterboxes, and as a non-painter, I really appreciate that she broke down each step and gave us time to complete it. Her wonderful assistant, Preetika, walked around picking up supplies and giving tips They made a great team! 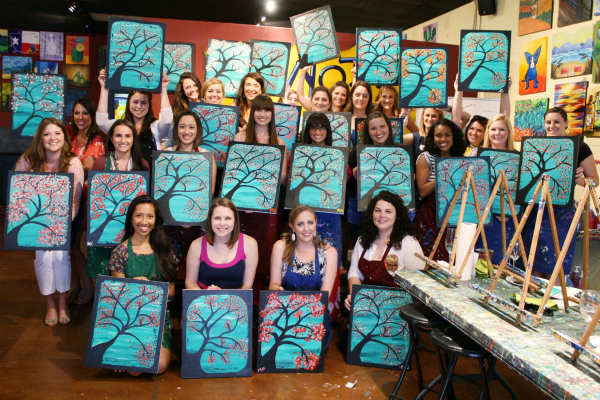 Even if you think you lack all artistic abilities, you will have fun and leave the class with a cool painting! I promise! Another thing I like about Pinot's Palette is their involvement in the community. Every fall, they host the Art Tasting charity event at their studios where guests come and enjoy an open house. This year the Art Tasting will be the weekend of September 14, and they have studios throughout the country participating. They will be splitting the proceeds between a national charity and local charities. 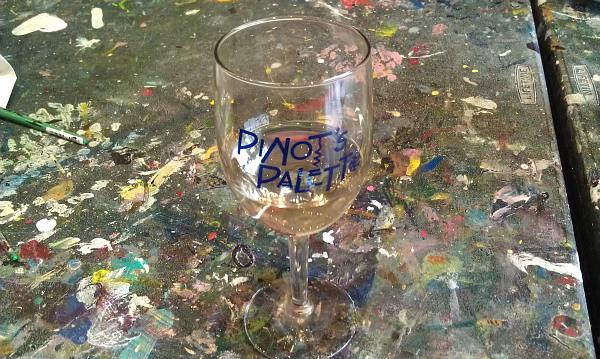 Pinot's Palette is asking fans to select their favorite charity. All they have to do is go to the Pinot's Palette Facebook page. The contest runs throughout the month of June and we will announce the winner in July. Why not try something fun and different for your next party or your next weekend outing? Check out Pinot's Palette (website, Facebook, Twitter)! Check out the event posts by my fellow Houston bloggers! Why don't I live in Texas again? Looks like you guys had so much fun AND I can't believe that 25 ladies showed up...how awesome is that?! Love you and your beautiful painting! Your's turned out so good! Love it! it was SO much fun! i love the way your painting turned out! I love how your leaves turned out!!! I had a blast, it was great seeing you! This looks like so much fun! The paintings are great, and I love that 25 bloggers came, that's so cool! That looks like SO much fun! I don't think we have one of those here, I wish we did! everyone's art turned out great!